Welcome to the first full week of 2016. There really is a whole lot happening in the sky this week as we take our first steps into the New Year. Mars entered Scorpio right before this week began on Sunday, January 3. Mars is the ancient ruler of Scorpio, so he’s right at home. Whatever you are passionate about and would like to go for, Mars in Scorpio will elevate your instincts and drive you towards discovering what exactly you want to focus your energy on. There is heightened emotional energy with this as well with the Moon meeting up with Mars in watery Scorpio. If you’re the jealous type this week and this month can intensify that for you. This is a great time to check in with yourself, do a little psychological analysis and wake up to your shadow side so you can move forward with better intentions. 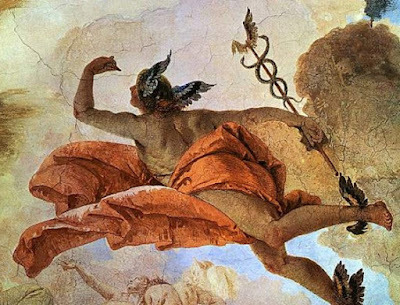 Mercury just entered Aquarius on New Year’s day, but then Mercury stations retrograde on Tuesday, January 5 at 8:05 a.m. ET so he won’t be in Aquarius for long. About an hour before Mercury stations retrograde he is in square with Mars. Tuesday can be a day where miscommunication, and misplaced passions or fears can reveal themselves and be the catalyst to all that we discover about ourselves during the Mercury retrograde phase over the next 3 weeks. Mercury in Aquarius has us thinking about the future, which is great for new beginnings as we start 2016. With Mercury retrograde we take a step back and try to collect our thoughts. It gives us a chance to go back to the drawing board, but there are likely to be many distractions and hiccups in communications as we try to figure ourselves out. A good practice for Mercury retrograde is to write more of your ideas and thoughts down so you don’t forget them. It’s also a good time to take a look at what wasn’t working well and explore new approaches. Tuesday is a pretty active day in the sky. “But Wait! There’s More.” - Redundant, overused phrases and cliches are totally fitting for Mercury retrograde. You'll likely notice such phrases and terms frequently over the next few weeks. Venus in Sagittarius and Neptune in Pisces are at odds on Tuesday. This can challenge our faith in love, or bring something very close to the heart right up to the surface that we need to face. Artists could find Tuesday to be challenging to get into the inspired pleasure zone of creating. It can also be more difficult for people to find compassion and understanding for others they can’t relate to. In terms of faith and beliefs, it's likely that more people will feel doubts about a connection with a divine source of life. For those who believe in God or a higher consciousness beyond our own, it's likely that where we may see a lack of love, or where there is suffering in the world, will have us question if there really is a loving, divine author of reality or not. This can also bring many people to feel the need for a closer connection to divinity as well and to channel that higher energy of love into the world. In physical and mental terms, you could also feel disconnected from your body this week. anything that seems physically challenging can have you considering getting more embodied, energetic and thus healthier. This can also speak to delusions you may have about your body or your looks ranging from vanity to body dysmorphia. As well this can be when your body is telling you your addictions are not doing you any good especially drugs or alcohol. Key experiences can show addicts of mind altering substances that it's time to quit. The Sun meets Pluto in Capricorn on Tuesday as well. Amidst all the changes and confusion that’s coming up this week, you just might have a self-realized moment on what needs to change in your life. It could very well be clarity, focus and purpose that feels like it needs to be ignited. This is generally focused on career matters, but really can be in regards to any of your personal goals, ambitions and aims in life. Exploring your motivations is key. If you have a touch of obsession with anything or have obsessive qualities, the need to change this part of yourself can become much more pronounced. With Mercury retrograde now it’s a good time to start journaling and getting into that introspective place and to record your thoughts. Clarity can be distant now so writing helps you stay a bit more focused and can always be returned to later for further exploration and extrapolation. It’s also when you could purge yourself of negative thinking from your past, so you make room for a different future. Mercury retrograde in Aquarius then Capricorn asks us to let go of what was so we can eventually become better versions of ourselves, rediscover our goals and improve our future. On Thursday the Sun in Capricorn is in square with Uranus in Aries. This is when we may wake up suddenly to the discord between established ways of living vs. the need for freedom. You may remember that Uranus finished retrograde and stationed direct in Aries on December 25, 2015. With Uranus now direct there is a stronger need for freedom in our lives as individuals. The Sun represents the self and personality and in Capricorn speaks to politics and established mores. Pluto in Capricorn speaks to the need for change in the sphere of politics and in the structures and systems that govern everyday life. The need for liberation, and conflict between individuals and society can be more evident as we lean further into this week. This can also speak to finances and the banking industry as a strong player in how society operates. To add to this with Mercury retrograde the stock market is likely to be much more unclear in regards to the future. Keep an eye on opinions on the stock market as they are more likely to be based on guesses rather than fact based projections. Mercury retrograde is the trickster and rules commerce and exchanges. Questioning the aurhenticity of the econony and how it operates will increase on the coming weeks. What's going on behind the scenes is on the radar to a higher degree for business practices as well as celebrity gossip news. I have spoken of this before in past horoscopes, about the Uranus and Pluto Square which hearkens back to the 1960s counterculture and the hippy movement. The desire for peace, love and freedom was expressed and explored widely. Although it is different times now, it is interesting to note the modern incarnation of the hipster trend and the strong need for social equality we see in today’s society. With Mercury retrograde we may each feel a stronger sense of interest in what is retro-vintage with a modern twist. Jupiter stations retrograde in Virgo on Thursday, January 7 at 11:40 p.m. ET. Jupiter has been in Virgo since August 2015, and will remain in Virgo until September 2016. Starting this week, Jupiter will begin a few months of retrograde movement in Virgo until early May this year. Jupiter in Virgo is about how to manifest and plan for our big ideas, finding purpose and growing through our work, our health and our daily routines. With Jupiter retrograde this will be an internal process of self-analysis, of refining our processes and plans so we can get to that big vision step by step. This is the time to tune into wherever you feel you need to do internal work, to think bigger and better of yourself and the work you do, and the way you live your life. Your lifestyle and daily routine and rituals can become much more purposeful, intentional and meaningful over the next few months helping you to grow and have more faith in yourself and your mission in life. Yes, there’s even more… On Friday, Mercury retrograde leaves Aquarius and enters Capricorn at 2:36 p.m. ET. Understanding how and why authoritative organizations, business, people and government work and operate the way they do can be up for reconsideration. Asking lots of questions about how society operates, especially in terms of media and commerce can increase significantly now. Wherever there is miscommunication in the big leagues, it can have us wanting to know more. Political historians can find this a particularly interesting time and the adage that history repeats itself could well prove itself once again. Financially we are implored to look at reality, facts, figures and fine details more closely regarding what we're trying to achieve, what isn't working and what needs to change. On personal levels, we could have unfinished business that needs a rethink or a redo. If you’ve got ambitions and goals that have been sliding, Mercury back in Capricorn for a few weeks can ask for you to pay closer attention and finish up so you can set yourself up for success in the future. Paperwork that has been piling up may need you to have another look so you’re not so in the dark with how business is operating. It's a great time to rethink our goals, ambitions and careers and ask, "How am I overcoming my limitations so I can grow?" Venus and Saturn meet in Sagittarius on Friday. For extroverts, this is great for socializing and dating with the intention of long lasting relationships. Bonds created now in social atmospheres can feel karmic. If you tend to be shy or feel inhibited this could be enhanced for you, but the Sagittarius energy can counter and lighten this helping you to feel more comfortable in your own skin while also feeling grounded and present when interacting with others. Many could find mature, distinguished people are more attractive now. This can also help you be more responsible with money when you’re out and about as well. Knowing that temporary fun can leave you racking up long term debt can have you taking the more responsible route now. Spending lots of money to impress others or to “buy love” can reveal insecurities. It’s a New Moon in Capricorn on Saturday, January 9, 2016 at 8:30 p.m. ET. The New Moon has us eyeing fresh starts towards our goals, and because of where this New Moon is in Capricorn, the focus is particularly on finances and security. Pluto is also in close orb, just a few degrees away, reminding us that transforming our lives in practical ways is the key. The Moon will meet Mercury retrograde in Capricorn on Sunday. If there has been a lack of clarity in what your goals are, it’s time to rethink your options and your way there. This can take time. With the Moon in square to Uranus, it’s not likely that sudden epiphanies will show up with all the answers. If by chance there does happen to be an Aha moment for you, it is likely that you’re awakened to what is not working, rather than what is. From there you can use the process of elimination. Try listing what you don’t want to work towards so you can let those go. This can be a slower, but helpful process in refining your focus. With Mercury retrograde you’re likely to change your mind on a few key points in a few weeks, but the process of elimination itself can be helpful overall. Go back over what didn’t work for you in the past so you can identify what you do Not want to do in 2016? In financial terms, this can be taking another look at your books and statements and admitting where you made mistakes when spending money. The way you perceive money as energy is up for consideration during this New Moon in Capricorn. How you use money and relate to money is your own responsibility. Of course, external factors play a role and can be out of our control from time to time, but generally when it comes to finances the outcomes mainly revolve around our own choices. The Moon continues moving forward in Capricorn right after the New Moon on Saturday. This puts emphasis on our habits and how we plan for our new goals. This is additionally enhanced by the Moon speaks harmoniously with Jupiter retrograde in fellow earth sign Virgo. Jupiter is also in very close orb to the North Node in Virgo. Practical plans we work on now can feel destined and should feel like they give your life a sense of purpose. Even though Mercury is retrograde and things can change, it’s still a good idea to be actively thinking about how you want to create and manifest your goals. It’s a great time to do research when Mercury is retrograde to help you refine your vision. The Moon meets Mercury retrograde in Capricorn on Sunday, bringing a nostalgic feeling to our lives. You may not have all the answers, but there is comfort knowing that you have time to think and rethink about how high you want to aim. The Moon enters Aquarius on Sunday and brings us more of a feeling of hope and progress that gets us in gear for next week. This week has intensity to it and plenty of frustration for many with so much going on, but next week we get to experience some respite from severity and enter into a new perspective and progress. If you're interested in what the New Year holds for you, I would be happy to take a look at your personal astrology chart and / or cards to give you insight and key dates for you for 2016. If you enjoy these horoscopes you may consider getting a Personalized Reading here. What does the astrology of 2016 show for you? Aries: Discussions around money matters could get a bit passionate this week with Mars and Mercury at odds. Misunderstandings can arise after you’ve already tapped into your financial resources included credit cards, lines of credit or other borrowed money. So, keep an eye on how transactions are handled, especially those in your social circle. It’s not the best time to be lending money to friends. You could also have a wake-up call in your career when changes ask you to reassess who you see yourself to be and what direction you want to go in. The New Moon asks you to take a much closer look at what you’re working towards in your life so you can better understand what changes need your attention. Taurus: You could have many moments this week that changes your worldview. Where you see a lack of compassion in the world, or where you may be less than compassionate with others, you are likely to take notice. You may wonder if those you associate with are really in line with your vision or not. Seeing a lack of higher consciousness in the world can be the catalyst for you to tune more into spiritual ideals and higher purpose to life now. You’re also likely to question your faith and beliefs this week more than usual. If you don’t feel supported by something grander than yourself, you could feel the need to reach out. You could also find yourself feeling more emotional than usual now, and even tearing up over the smallest things. The New moon puts emphasis on a new philosophy of life and your reasons for all the work you do. Joy in life is a necessity and time is your most valuable resource. Gemini: Early in this first full week of 2016 the gears change. With Mercury as your ruling planet, you tend to notice a Mercury retrograde more than most. When anything with moving parts from cars to computers are having issues this week it can put a wrench in your plans. Thanks to Mars, if you’re feeling extra passionate this week you may need to ask a second time to ensure there’s mutual interest. 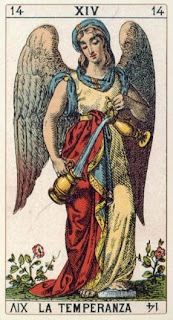 Mercury goes back to Capricorn in time for the New Moon putting emphasis on your finances. Double checking your banking transactions is recommended and fine print deserves a thorough readthrough. Wherever you’re unsure, trust that, and ask instead of assuming. Extra attention to the law of attraction wakes you up to bigger possibilities. Cancer: The Moon sweeps through Scorpio to Aquarius this week bringing love, patience and transformation to heart. The New Moon in Capricorn highlights your relationships. Mercury going retrograde and re-entering Capricorn in time for the New Moon asks that you pay closer attention to what you think about and say to those you are in partnership with and vice versa. This is true in romance and in business. Your relationships are going through a long term, slow transformation but this week there is extra emphasis. What you think and say has a great impact on how your relationships change. It’s a good time to turn over a new leaf. An issue you may have with someone of authority or related to your career can come out in the open. Discussions require efforts for clarity though. It’s not a great time to be signing any contracts. Be sure to read the fine print. Leo: The Sun and the Moon meet this week in Capricorn for the New Moon. This speaks to you finding new ways of getting yourself in order so you can climb the mountain towards your dreams, goals and ambitions. A new health regimen is recommended to give you strength, optimism and a greater sense of your embodied self. You may feel that responsible choices are getting in the way of you having fun and being more spontaneous. With Mercury retrograde it’s an important time for you to reflect on what is worth your time and efforts so you can achieve a more solid footing for your life. Jupiter retrograde is also bringing you a personally meaningful shift in the the work you do and the financial rewards you reap from what you’re building. Virgo: Not only is your ruling planet, Mercury, going retrograde this week, but Jupiter is going retrograde in your sign as well. This brings more focus on you going inward to reflect on and to rethink your life, your identity and where your creative efforts are bringing joy into your life. Mercury stationing retrograde in Aquarius has your wishes for the future written all over it. Mercury enters back into fellow earth sign Capricorn in time for the New Moon imploring you to rethink how you are a co-creator with the universe is manifesting your highest aims. This can feel like a time that is especially potent for you to tune into what your destiny is, what you’re meant to be doing and who you’re meant to be. Enjoy this fresh start as a step towards making your wishes come true. Libra: Mars has left your sign just before this week begins and brings greater emphasis to your finances and sense of security. Mercury stations retrograde this week and in connection with Mars has you rethinking where your finances have not been working so well. This is an opportunity for you to face facts and have a closer look at the numbers. A longer term approach with an eye on the future is recommended. Venus, your ruling planet, is reaching out to Neptune and also meets Saturn this week. This is you getting more serious about your daily routine. Someone could suggest that you may be going with the flow too much. It’s recommended that you find more focus and intention for more impact. The New Moon suggests that a new approach to your home is necessary. Decluttering so you have a better energy flow is a good idea. You may find redecorating or renovations are on your mind more than usual now as well. With Mercury retrograde it’s better to wait on big decisions, but it’s a great time to brainstorm. Scorpio: Mars has come home to your sign. Though Scorpio is ruled by Pluto, Mars is your ancient ruler. You should feel like you’re in your element. Mercury reaches out to Mars this week as well. Issues that may come up at home and with family or those you consider as close as family could have you doing a rethink about where you stand and who you identify yourself to be. This could bring your passionate or courageous side to the forefront. The New Moon is harmoniously placed for you this week, with Pluto close by. You could feel like this is a rebirth for you, especially in terms of how you think and what you wish to communicate. Some Scorpios could also find siblings, cousins and neighbors are reintroduced into your life temporarily and play a role in a new way of thinking that propels you forward in the weeks to come. Sagittarius: Jupiter is going retrograde this week. This can bring more emphasis on your career, your goals and have you reconsidering the time and effort you are putting into what you’ve been working on. Is it worth it? Are you spending your time wisely? Is your career growing the way you envisioned it? Are you feeling like you’re on the right track? Relearning what you may have once known well and getting more in tune with your skills can feel destined now to help you grow that much more. The New Moon is in harmony with Jupiter and brings emphasis to your finances. Mercury retrograde adds to this and has you rethinking your approach to money and finding ways to achieve a greater sense of personal security. It’s a great time to take another look at your books to help you gain insight into career and financial matters you may usually overlook. Take some time to reflect on what you’re working towards. The need for more freedom, fun and creativity are likely to fuel your decisions. Capricorn: There’s a New Moon in your sign this week. The Moon, Sun, Pluto and Mercury are all in your sign putting lots of emphasis on you. This is you reflecting on your identity and who you know yourself to be. Mercury stations retrograde in Aquarius before re-entering your sign. This speaks to how money matters and your future play a strong role in how this New Moon motivates you to start fresh. Venus connects with Neptune and meets up with your natural ruler, Saturn, this week as well. Acknowledging how everything is energy can have you taking a look at how the energy you put out there plays an important role in the energy you attract. It’s karma. Love is energy as is money. Take that into consideration and muse over the ideas that come up and you are likely to find that you reach a new understanding of how you play a major role in co-creating your experiences. This is a new start that can bless you if you let it. Aquarius: Mercury stations retrograde in your sign this week before heading back into Capricorn. This is you reflecting on your identity. What you think and say about yourself needs a readjustment. The New Moon in Capricorn puts more emphasis on the higher purpose of your life, bigger than career and ambitions. There is a spiritual significance to this time for you. Uranus and the Sun could bring you surprise insights that don’t feel so comfortable but can totally shift your perspective. As well, while Mercury is retrograde in Capricorn for the next few weeks you are likely to find you need to reconnect with your spirit and with spirituality in general. Sleeping can bring up intense dreams and daydreams could have you in deep reflection. It’s time for you to renew your spirit and to grow in ways bigger than what mundane goals and ambitions can offer. Pisces: Is your career what you want it to be? Are your goals being accomplished? Do you love what you’re aiming for? This week Neptune and Venus highlight your identity and your career and you could feel like you need to overcome what’s been holding you back. Venus meets Saturn putting a somewhat more serious tone to your career and goals. Are you attracting the opportunities that are well suited to you? Jupiter is putting more emphasis on your relationships now. As he goes retrograde you could find that you need a stronger connection to others to feel more abundant inside. The learning and growth over the next few months in relationships is highly important. It can feel like a destined time in partnerships. The New Moon emphasizes this as well bringing you new opportunities with friends and social experiences, and they very well could lead to meaningful relationships, romantic, business or platonic. Reconnections with friends and allies can wake you up to a new vision and bring greater hope and optimism to your life.